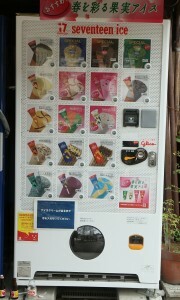 I’d heard tales of the outrageous vending machines in Japan. 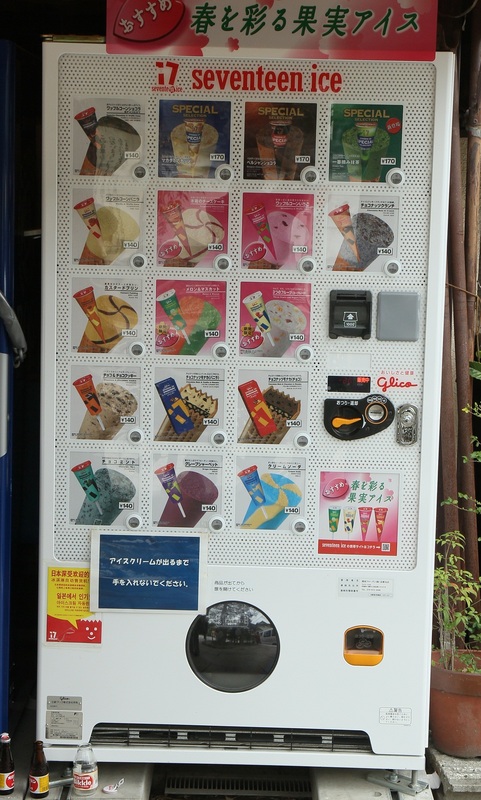 Walking around cities and even the tiniest of villages, you are never that far from a machine, innocently tempting you with all of its sugary goodness. Having passed so many machines, you’d think we would have built up our defenses to this constant enticement; unfortunately, some days we are just not strong enough and inevitably give in. By far and away, drink vending machines reign supreme as they are the most numerous. 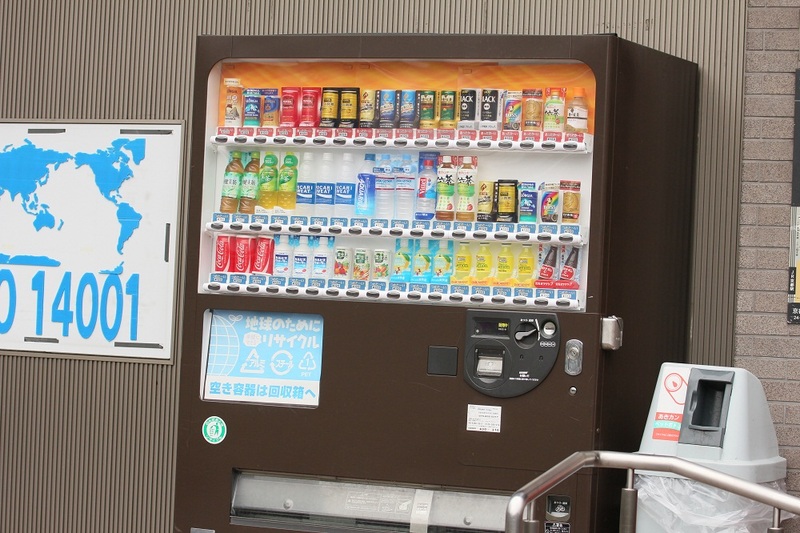 Unique to Japan is the fact that these hybrid machines dispense hot drinks as well…. in cans. That’s right. Feeling chilly? Why not warm your hands and soul via a cocoa from the vending machine? It’s springtime now, so both hot and cold drinks are available. Once summer arrives, only cold drinks will be available. So sensible. Feeling hungry? 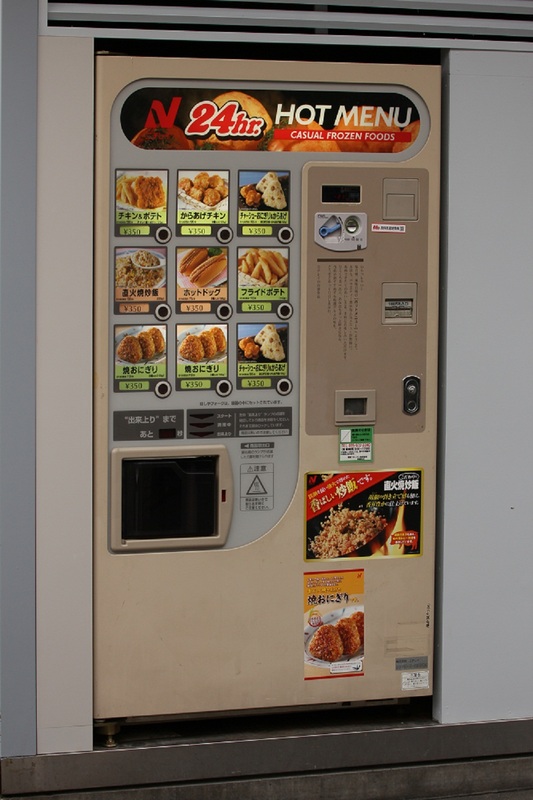 Why settle for a candy bar when you could have a vending machine meal? Maybe a hotdog? French Fries? Or a burger? Don’t forget dessert! YUM, ice cream! Apparently there are even vending machines for ties!! We have yet to spot one of these, but I have my eyes peeled. As one couchsurfer shared, it would be a nightmare to spill curry on your tie during lunch and then not have another tie to change into. 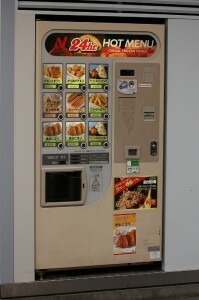 The tie vending machine saves the day so the corporate worker will never have to appear before his co-workers with a devastating curry stain. The Japanese think of everything! Written by: kate on April 28, 2012.on May 11, 2012.